Microsoft’s E3 2018 press conference has come to a close, and we’ve compiled a list of all the new games that will be joining the Xbox One X Enhanced program. If you missed out on the conference and want to check it out for yourself first, you can watch it right here. 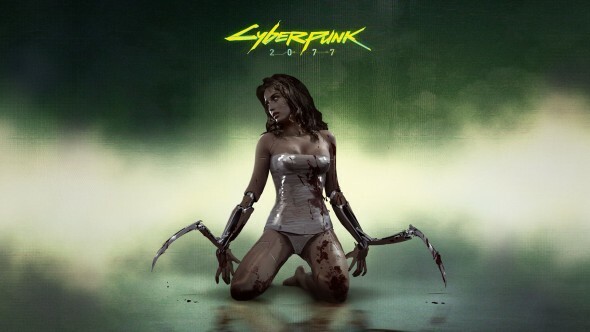 CD Projekt Red’s long-awaited sci-fi role-playing game got a brand new cinematic trailer at Microsoft’s E3 press conference. 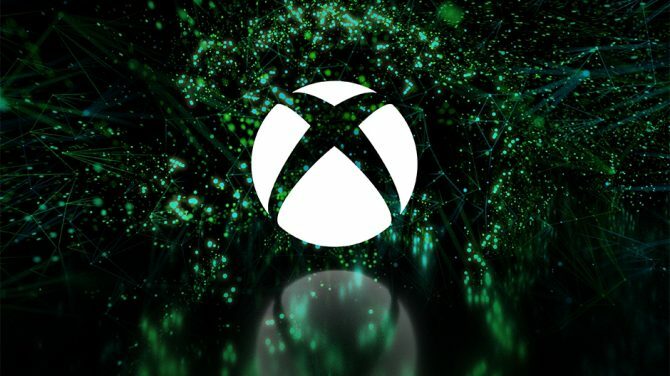 The game is also going to be taking advantage of the Xbox One X.
Microsoft started off their E3 press conference with a bang, revealing the next entry in the Halo series. Will likely see the Master Chief look better than ever before in Halo Infinite and it’ll surely be an even better treat through the power of Xbox One X. 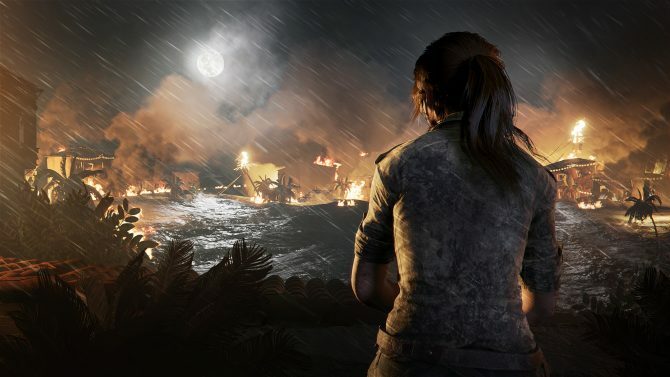 The third entry in Lara Croft’s origin story came out swinging with a new gameplay trailer at Microsoft’s E3 event. The game looks beautiful already but will see a higher visual fidelity through the power of Xbox One X.
Microsoft showed off not one, not two, but three new Gears of War games that are currently in development. 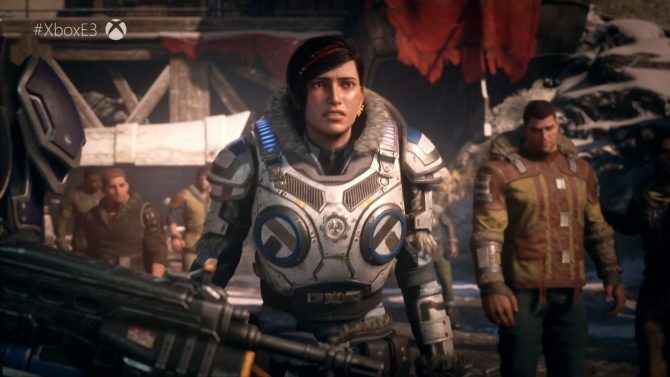 The biggest being Gears of War 5 which has us return to the world of Sera. While the new trailer we got the chance to see looks beautiful, there’s no doubt Xbox One X owners should be excited to see the game running in 4K. DICE’s next installment in the Battlefield series will take players back to where the series began, World War II. 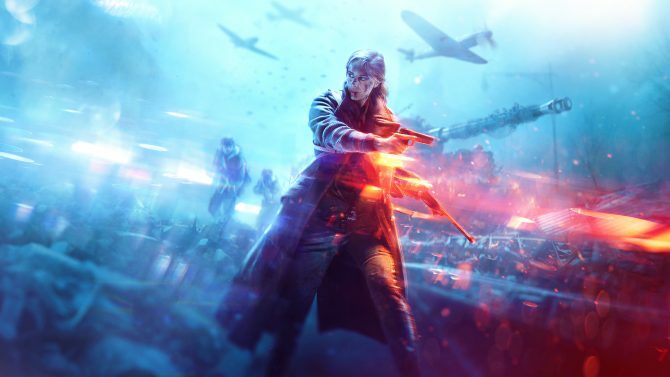 Looking like it’ll offer the most visual fidelity out of any Battlefield game yet, Xbox One X owners have plenty of reasons to get excited to jump into Battlefield V. The Frostbite engine has never looked better. Techland’s Dying Light is one of the best new series to come out this console generation. 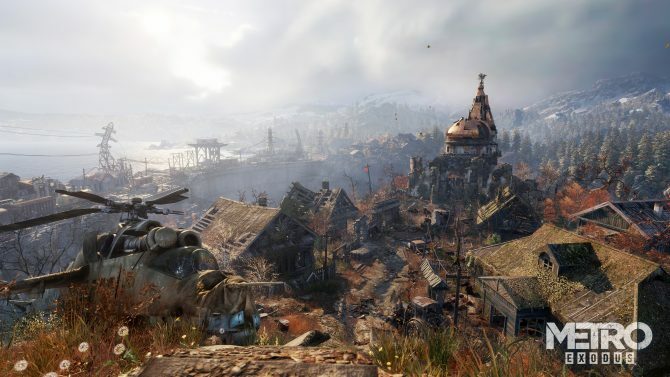 While the first game was a visual marvel on its own, Techland seems to be taking a totally new visual direction with Dying Light 2. Xbox One X owners should get excited to run, jump, and bash their way through this new zombie-infested world. We got to see the game in action at Microsoft’s E3 press conference. We got a chance to see our first look at the Division 2’s new setting, Washington D.C., in the latest trailer for the game at Microsoft’s E3 press conference. The game looks like it plays beautifully and the visuals throughout the new trailer are impressive, to say the least. 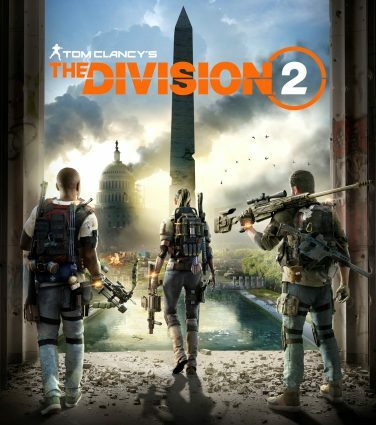 The Division 2 will see further enhancements through the power of Xbox One X.
Ori and the Blind Forest was a visually stunning game. 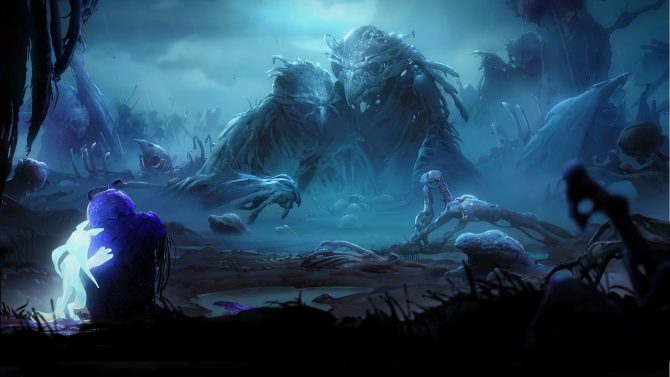 Its sequel, Ori and the Will of the Wisps looks to be no different. A new trailer during Microsoft’s E3 conference gave us a look at the striking visuals and challenging platforming gameplay fans of this series are going to expect. The title will look even better on Xbox One X.
Microsoft revealed that Black Desert Online would be making its way onto Xbox One. The game is already one of the most visually appealing MMO’s on the market and will look even better on Xbox One X. 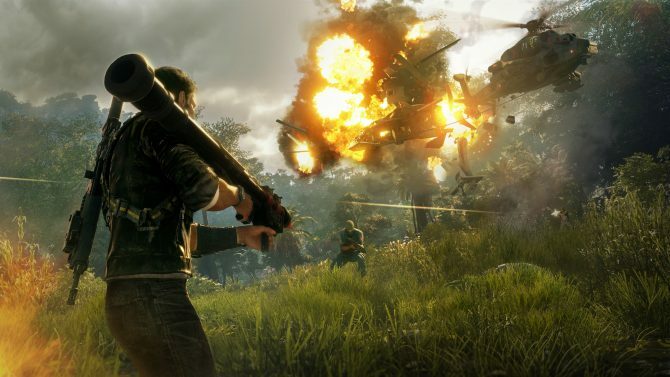 The fourth entry in the Just Cause series was officially revealed at Microsoft’s E3 event today. As a series known for its chaotic destruction and huge open world, Xbox One X owners will definitely want to get this title on their systems. 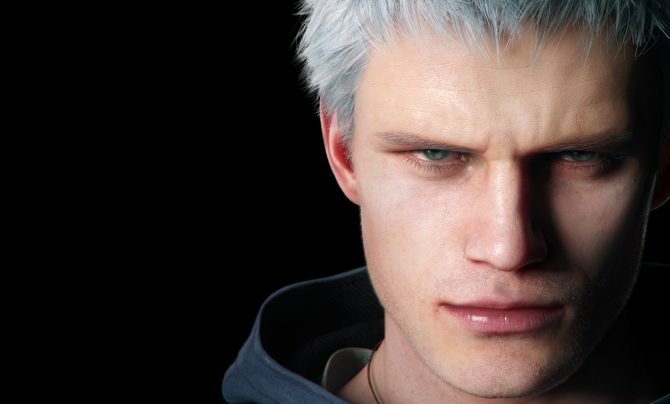 Hideaki Itsuno is directing the fifth entry in the Devil May Cry series. We got a new trailer for the game at Microsoft’s E3 event that not only looking satisfying by gameplay standards but visually incredible as well. It’ll be a treat to hack and slash demons in 4K on Xbox One X. Another title on the list that’s all about large open world and pure, unadulterated destruction. 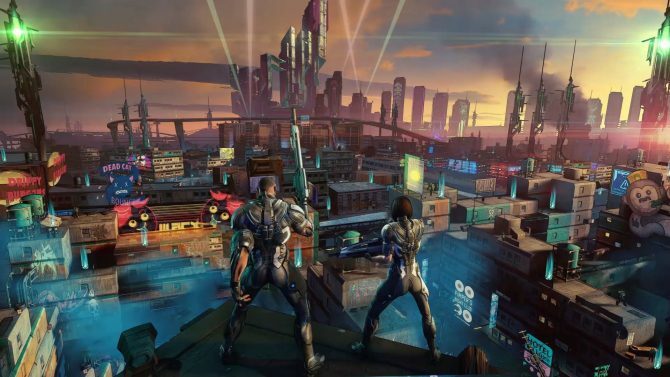 Microsoft’s long-awaited console exclusive is finally coming out in early 2019 and should be an absolute visual treat for Xbox One X owners. 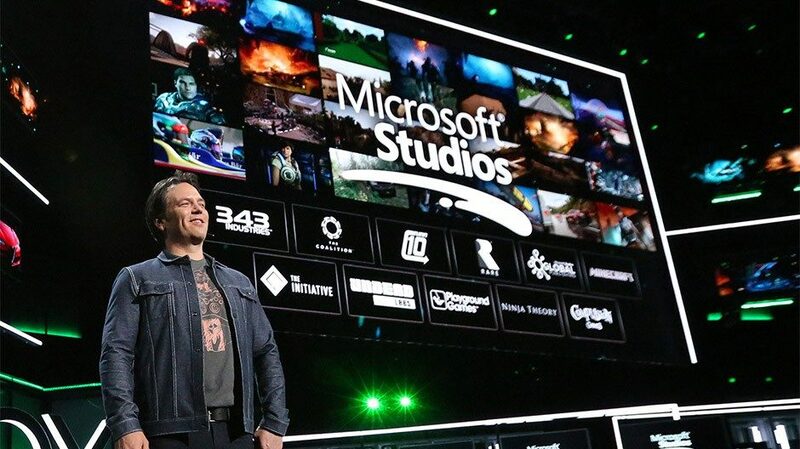 It was surprising to see Todd Howard take the stage at Microsoft’s E3 event only hours before Bethesda’s conference. 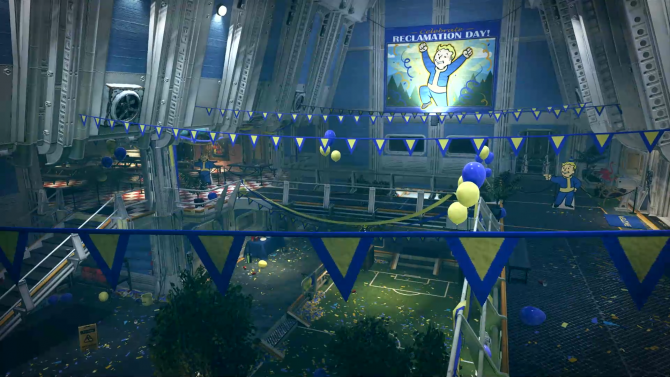 We got the chance to see our first look at the world of Fallout 76 and it looks to be the most visually advanced game Bethesda Game Studios has released to date. Xbox One X owners who have an itch for RPGs should definitely keep their eyes on this one. 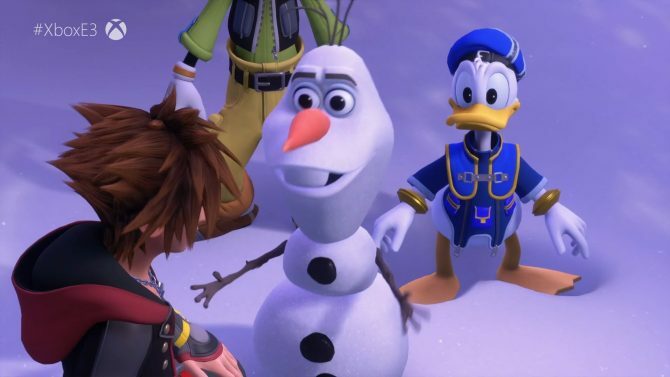 It’s finally time for Sora’s journey to end in Kingdom Hearts III. After a stunning demo of what we can expect from Kingdom Hearts III in Kingdom Hearts 2.8 Final Chapter Prologue, Xbox One X owners should be excited to get their hands on the best looking version on console. A surprise reveal from Bandai Namco showed beloved heroes, anti-heroes, and villains from the wonderful worlds of Shonen Jump. 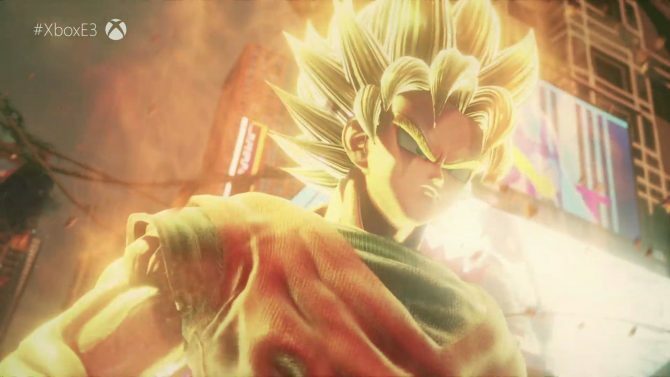 In a new trailer featuring Goku, Naruto, Luffy, and Death Note protagonist Light Yagami, we got to see the characters battle it out in sweet sweet anime-manga-style combat. Fans of these characters are in for a visual treat on Xbox One X. Souls fans are in for a treat with this one. 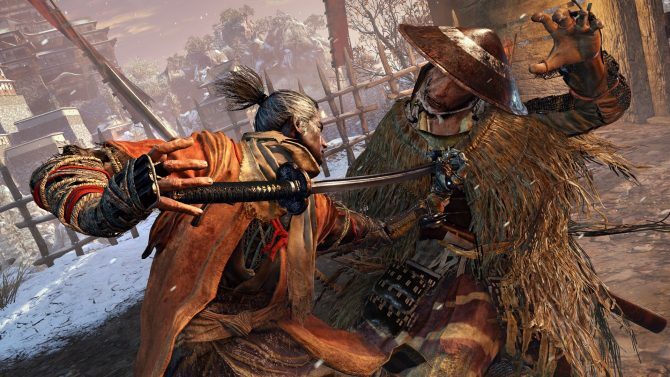 Seikikiro is From Software’s latest crack at Souls-style gameplay in beautiful samurai form. Souls games are known for being incredibly difficult, but also incredibly beautiful, and this title should be no different on Xbox One X. After surprisingly launching on Xbox 360 exclusively in 2008, Tales of Vesperia became one of the most memorable entries in the Tales of JRPG series. Microsoft announced the title would be returning in the form of Tales of Vesperia: Definitive Edition at their E3 conference. Even though it’s an older title, the title will likely never look better on Xbox One X. 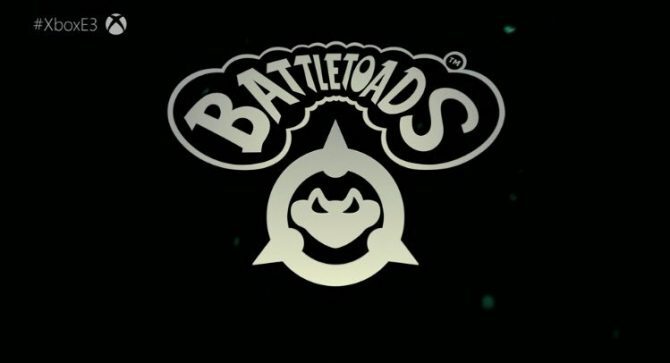 While we didn’t get an in-depth look at the new Battletoads game that was teased at Microsoft’s E3 conference, we did find out a couple of small details about the game. For one, it’ll be enhanced through Xbox One X and we couldn’t be more excited to see Rash, Zitz, and Pimple, back in action and looking the best they ever have. While it isn’t Skate 4, the market wants what the market wants and Session is hopefully here to deliver. 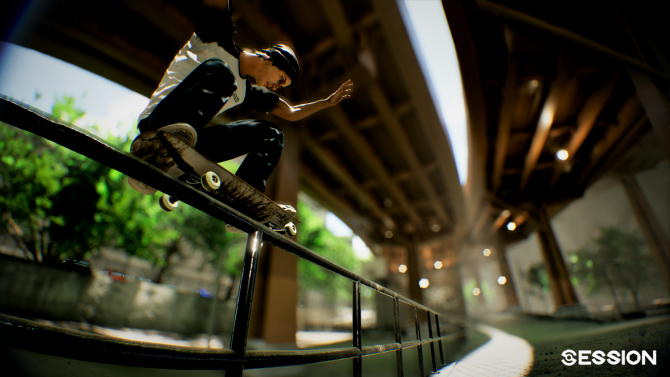 Session is a new skateboarding game that was announced at Microsoft’s E3 press conference. 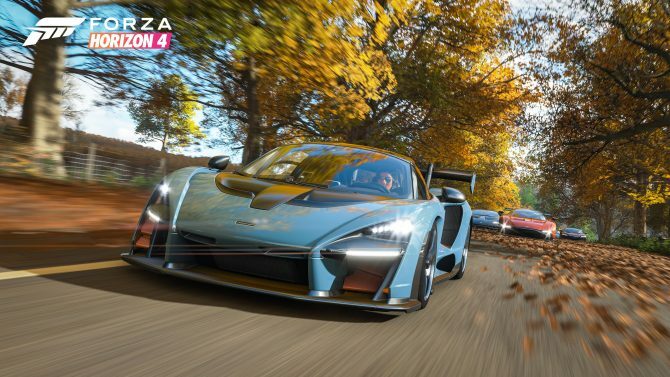 The game will be enhanced through the Xbox One X.
Forza Horizon 4 is the newest addition to one of the best racing series ever created. We got a brand new look at the game at Microsoft’s E3 conference. Each title seems to just look better and better and Forza Horizon 4 looks like it will be continuing that trend. Xbox One X owners should definitely be excited about this exclusive title. 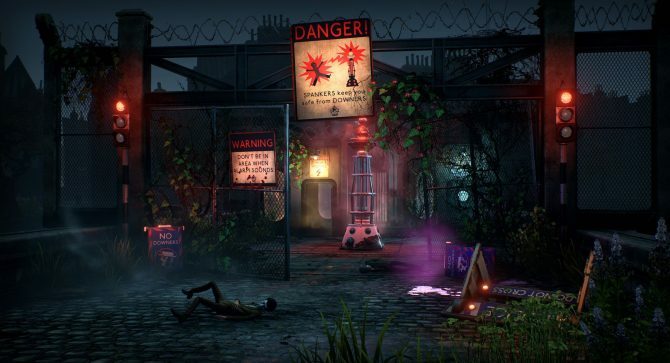 After being announced at Microsoft’s E3 conference a few years ago, we got a new look at the world of We Happy Few. Microsoft showed off the game’s new story mode at their 2018 E3 conference earlier today. 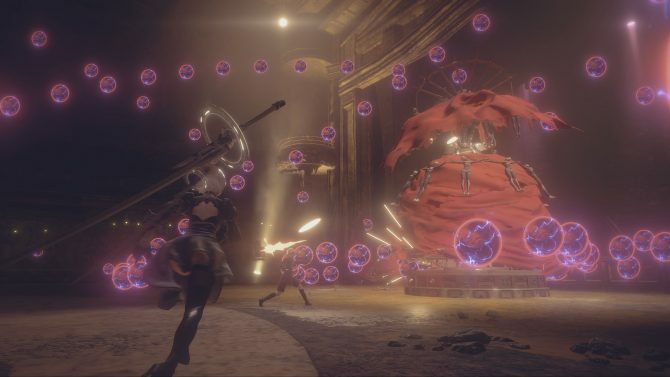 Microsoft revealed that Yoko Taro’s beloved sequel in the Nier series is coming to Xbox One. Players should get excited to jump back into the game with 2B and 9S in glorious 4K. There you have it. That’s a full list of all of the games from Microsoft’s E3 press conference that’ll be enhanced through the power of Xbox One X. What games are you most excited for? Did Microsoft deliver on all of your expectations? Let us know what you thought of their press conference in the comments down below.